For the many projects and tasks that meet you, whether at home or on the road, the Camo Blade Hunting Knife has you covered. 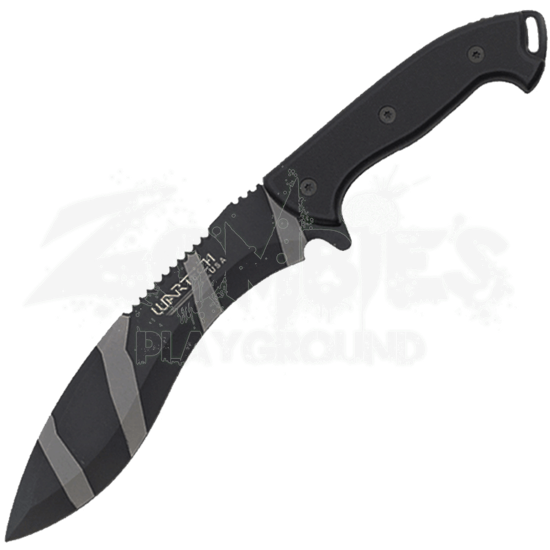 Its drop point blade with serrated spine offers flexibility, strength, and durability for everyday utility. 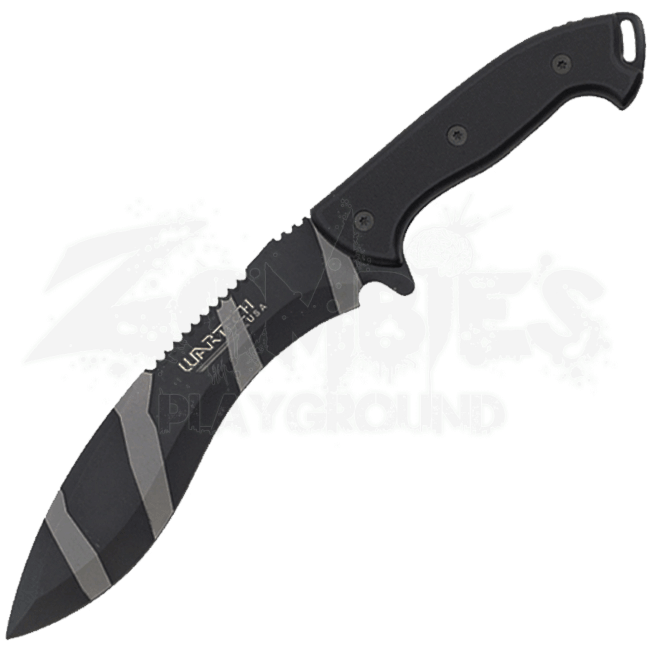 The stainless steel blade possesses a black and white striped camo finish. Partial serrations run along the upper half of the spine. A grainy texture strengthens the grip of the black ABS handle. The wide loop at the end of the handle attaches easily to a lanyard, while a black nylon sheath is included for convenient carry and storage.